A blog about spirituality, healing, martial arts, and everything in between. A little over three years ago, I wrote a post about Prayer and Selfishness. 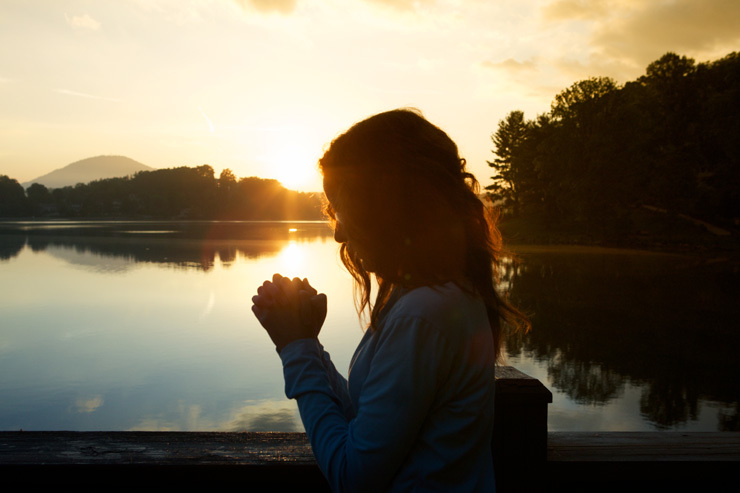 In that post, I discussed how traditional Christian prayer could sound selfish because one is typically telling, or even outright commanding, their deity to do something for them. I also suggested some alternate ways of prayer. I thought I should revisit the topic and approach it from a different perspective. In the "big three" Abrahamic religions (Judaism, Christianity, and Islam), God is seen as all-powerful, omniscient, omnipotent, and demanding of worship. Even the various aspects of God, such as Jesus or the Holy Spirit, mostly fit these qualifications. And it is those same qualifications which make the concept of selfish prayer so ridiculous. However, not all belief systems view their deities in the same manner. There are many spiritual and occult systems that view deities as not something to worship, but rather something to build a relationship with. In these traditions, a prayer where you ask for something directly is not a complete contradiction in beliefs and can be quite a reasonable thing to do. At times, it can even be quite reasonable to outright command a deity. I tend to think of the various deities in the same way I would think about a revered teacher or master - someone who is wiser and more powerful than myself (and in the case of most deities, wiser and more powerful than any human master). I don't worship my teachers, but I do try to build a mutually respectful relationship with them. I take their opinions seriously, I listen intently to what they have to say, but I do not turn my free will over to them. I may not always take their advice, but I will do it in a respectful way. I may even joke around with them, depending on who it is and what kind of relationship we have cultivated over the years. Deities are no different. Once you build a relationship with them, you can start breaking out of the bounds of a worship-based relationship. Make sure you treat each one appropriately and with respect. Just because you can joke around or even pull harmless pranks on a trickster god like Loki (if you have that kind of relationship) doesn't mean that you can get away with that same behavior with any deity you want. Much like your friends and family, some aspects of your personality are appropriate in some circles, but can be highly inappropriate in others. Use your judgement, but don't be afraid to grow and break out of the limitations of a worship-based relationship with your deities.